Built in 1894 for merchant John Simpson, this two-storey brick house in Neepawa was home to internationally-acclaimed author Margaret Laurence from 1935 to 1944. A provincially-designated historic site as of 1987, the house is now operated as a museum dedicated to Laurence’s literary career. A commemorative plaque was placed on the grounds in 1988 by the Manitoba Heritage Council. 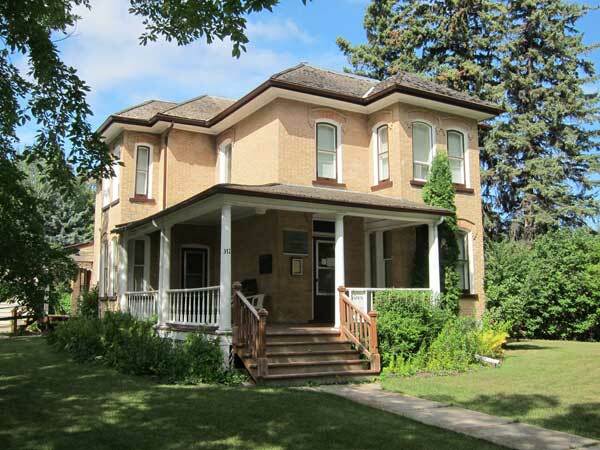 Margaret Laurence House, 312 First Avenue, Neepawa, Manitoba Historic Resources Branch.